It appears that there were not many Nooks under Christmas trees this year. Barnes & Noble’s beleaguered line of Nook tablets and e-readers had a terrible fourth quarter. On Thursday, the company announced that Nook revenue was down 55 percent from the year-ago period. Nook revenue doesn’t just include Nook hardware — it also includes digital content and accessories. Device and accessory sales were down a whopping 68 percent from last year to $56 million in the most recent quarter. Sales of ebooks and digital audiobooks (only) dropped 25 percent to $27.4 million. In 2014, [company]Barnes & Noble[/company] changed its Nook hardware strategy. 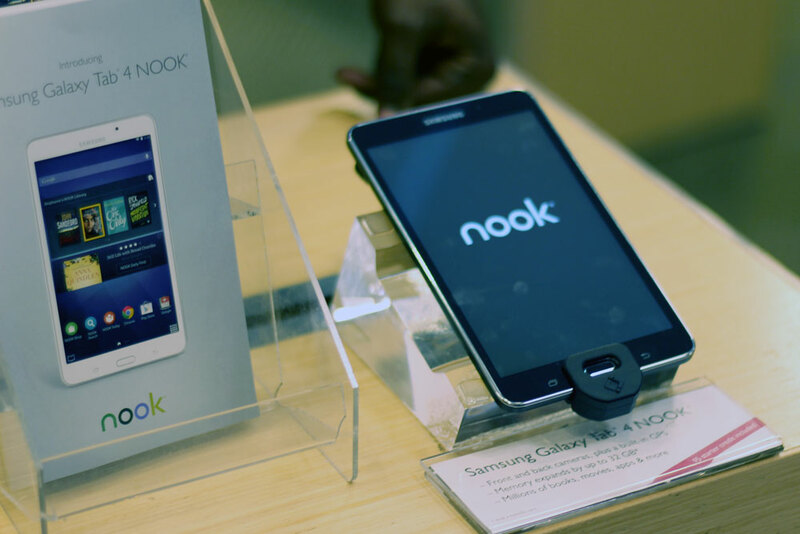 Previously, Nooks were unique Android-based tablets that were specifically designed for Barnes & Noble. But the Nook launched last year was merely a re-branded and slightly skinned version of one of Samsung’s Galaxy Tab tablets, which allow users to install the Kindle app as well as other apps for purchasing ebooks from the Google Play app store. Although the company didn’t break out sales for specific Nook products, it appears the new [company]Samsung[/company] Nook was powerfully unpopular this holiday season. However, it’s possible that Android tablets in general had disappointing sales in the past quarter. It’s also possible that the Samsung Nooks met expectations but other Nook hardware flopped. Barnes & Noble sells a e-ink reader, the Nook Glowlight, which didn’t see an update in 2014 even as Amazon’s line of e-ink Kindles received price cuts and upgrades and a new high-end model. In December, Barnes & Noble bought out Microsoft’s stake in Nook Media. Memo to the geniuses over at B&N, what did you expect? You didn’t upgrade your dedicated ereader, you got greedy and deleted sd card expansion on your nook glowlight and used above all companies Samsung as your hardware company to provide your nook tablets. Your online store has garbage customer service and over priced ebooks. Top management should all be fired, they are clueless when it comes to running a business. Why would anyone buy a niche tablet with a dubious future when they could buy a mainstream tablet with the same benefits derived via an app? There has to be a compelling reason to by a specialty tablet and I sure can’t find any of those reasons with the Nook. Even Amazon is struggling with the Kindle Fire and Amazon has a LOT more content leverage. I would fire the Nook leadership team for ‘not getting it’. You didn’t understand the article. There is no ‘speciality’ NOOK tablet. Its a generic SAMSUNG tablet with software from everyone PLUS NOOK software. The Glowlight is the only NOOK created hardware. It’s unfortunate, but B&N is killing the Nook. It’s a decent platform and has gained some traction, but the company stopped investing in it over a year ago and is only trying to extricate the business so it can sell it to another company. I have published books on both Nook and Kindle. I preferred to use the Nook publishing app, but grew frustrated because B&N wouldn’t provide marketing programs that I could use to promote my books. Amazon provides marketing programs, but the best programs are for the top sellers. By not providing these programs, B&N is missing out on revenues they could be charging publishers, and they’re not incentivizing publishers and authors to promote and sell their books. B&N said they were planning to launch marketing programs/apps over a year ago, but never did. This was an easy hit for the company but they dropped the ball. Nook is still a viable product. Either B&N should make the investment needed to build the business or it should sell it as fast as possible to a company that will make the investment.